It’s another one of those weekends here in Charleston where everything is happening at the same time. This weekend is jam-packed with enough stuff to entertain a city ten times our size. We will hit the highlights and try to give a guide to the choices available this week without bumming you out too much about all the stuff you’ll have to miss. 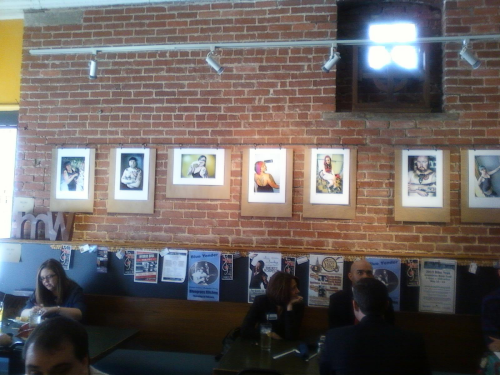 But first, at right and below, we have a mini-photo essay on the Scratch show at Bluegrass Kitchen that we told you about last week. 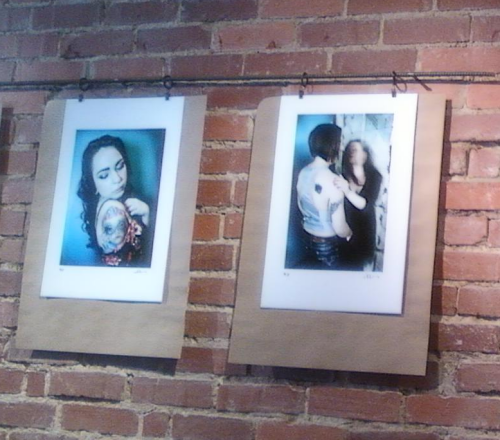 You can still head over to BGK to check out the tattoo photography of Mark Wolfe and the enviromental lucite sculpture of Nik Botkin. 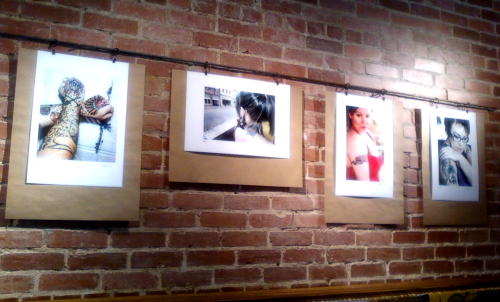 The exhibit will be up through the end of March, and you can get some great food while you’re checking out the cool art and photograhy. I think that’s the proper use of the word. West Virginia’s Kings of Improv, The NPP, kick off their twelfth season by heading back to The Clay Center for their next Adults Only performance! Tickets are $12 each, and can be purchased at www.nopantsplayers.com or www.showclix.com Don’t wait til the last minute, this show sold out in advance last year! Also, local magician Joey Stepp will be warming up the crowd with a pre-show performance. Your favorite adult beverages will be provided by Embassy Suites. The ultimate game of cat-and-mouse is played out in a cozy English countryside house owned by celebrated mystery writer, Andrew Wyke. Invited guest Milo Tindle, a young rival who shares not only Wyke’s love of the game but his wife, has come to lay claim. 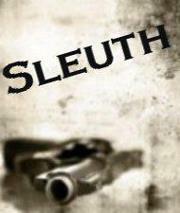 Revenge is devised and murders plotted as the two plan the ultimate who dunnit. 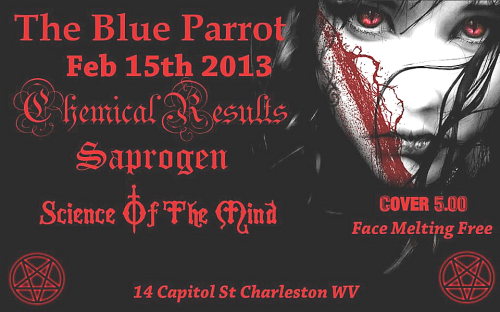 Tonight at The Blue Parrot, the Radio Free Charleston crew will be on hand to record three bands who are overdue for appearances on our show.Chemical Results, Saprogen, amd Science of the Mind will take the stage beginning at 10 PM. A five-dollar cover gets you in to see some fresh and exciting metal. 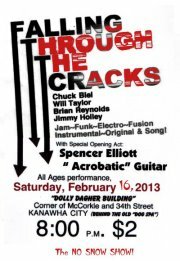 Saturday at 8 PM at the Dagher Building on the corner of McCorkle & 34th St in Kanawha City it’s a special, intimate performance by “Falling Through The Cracks, ” featuring Chuck Biel ~ Bass & Harpejji, Brian Reynolds ~ Guitar, Will Taylor Keys, Effects & Voice and Jimmy Holley, Drums and hittable things. Opening will be special guest Spencer Elliott on “Acrobatic” Guitar, with an expected extra guest in the amazing Sean Sydnor. A mere $2 buys your way into Sonic Security for a Sensational Saturday! Tonight at 9 PM at Sam’s Uptown Cafe, it’s Tribe of the Elk, with Dave Frazier – Vocals, Acoustic Guitar. Bryce Duncan – Alto Saxophone, Acoustic Guitar, Vocals, Josh Gwinn – Vocals, Acoustic Guitar, Harmonica, Banjo, Andy Johnson – Drums, Jon Hawkins – Electric Guitar, Tyler Knight – Piano and Kris Plona – Bass. Also performing will be Sierra Ferrell, happily back in town. 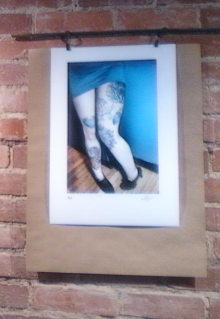 Four bucks gets you in the door. The Fabulous Brothers Steele with No Pretty Pictures will be at The Boulevard Tavern with a five-dollar cover starting at 10 PM. Hybrid Soul Project will shower the stage with love at The Empty Glass at 11 PM, with a seven dollar cover (five bucks before 11 PM). All day Saturday (well, noon to 11 PM) it’s an all-ages show starring The Veggies, Pulsations, ChuckTown Trio, Diu Viam, Letters, Michael Workman, Surrender and RFC guests, Deck Of Fools. The cover charge is only two bucks, and this all takes place at Rock Lake Community Life Center, 801 Lincoln Drive in South Charleston. Yes, folks, it is at the old Rock Lake, and it’s a really cool place to catch bands. Raj, The Nanker Phelge, The Brother Sisters, Jordan Andrew Jefferson will be at Sam’s Uptown Cafe starting at 9 PM. Except for Raj, we’ve had all these folks on Radio Free Charleston. Raj, you’re on our list. Five dollars gets you in. The McGees, Time & Distance and Paul Menotiades will tear things up at The Sound Factory. at 10 PM, with a five-dollar cover. 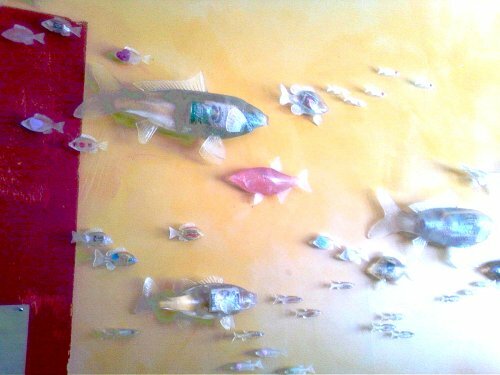 The Blue Parrot plays host to Beggars Clan at 10 PM, with a five-buck admission. Over at The Empty Glass, Calvin Grimm will perform rock/blues originals and covers with some great guest artists, followed by Charleston’s best rap sound – Dinosaur Burps! The show starts at 11 PM, with the usual seven/five dollar cover. That’s the weekend in a nutshell. Next week in PopCult we’ll have a new Radio Free Charleston, more Toy Fair coverage, more book reviews plus tons of video, art and weird stuff.